Patalon eye drops (Olopatadine) is an inhibitor of the release of histamine from mast cell and a relatively selective H1-receptor antagonist.It is indicated as topical treatment of the signs and Symptoms of allergic conjunctivitis, both seasonal & perennial. Patalon is available as 5 ml sterile eye drops. 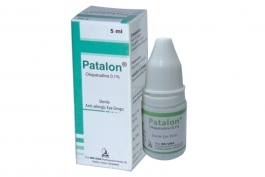 Patalon eye drops (Olopatadine) is an inhibitor of the release of histamine from mast cell and a relatively selective H1-receptor antagonist.It is indicated as topical treatment of the signs and Symptoms of allergic conjunctivitis, both seasonal & perennial. 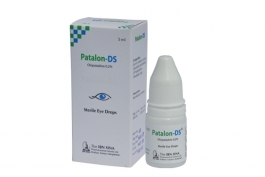 Patalon-DS is available as 5 ml sterile eye drops. Polygel eye drops (Polyethylene Glycol & Propylene Glycol) is a preparation of artificial tear. Indicated for the temporary relief of burning and irritation due to dryness of the eye. 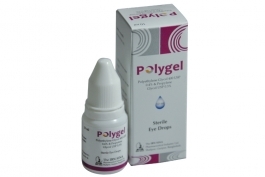 Polygel is available as 10 ml sterile eye drops. Polytracin ophthalmic ointment 9Polymixin-B sulphate and Bacitracin Zinc BP) is an antimicrobial opthalmic preparation. Indicated for the treatment of various bacterial infections. It may be applied to prevent ocular infection both pre and post operatively. 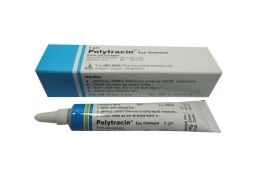 Polytracin is available as 5 gm sterile eye ointment.